Great family home near Enterprise Elementary and Space Coast Junior Senior High! 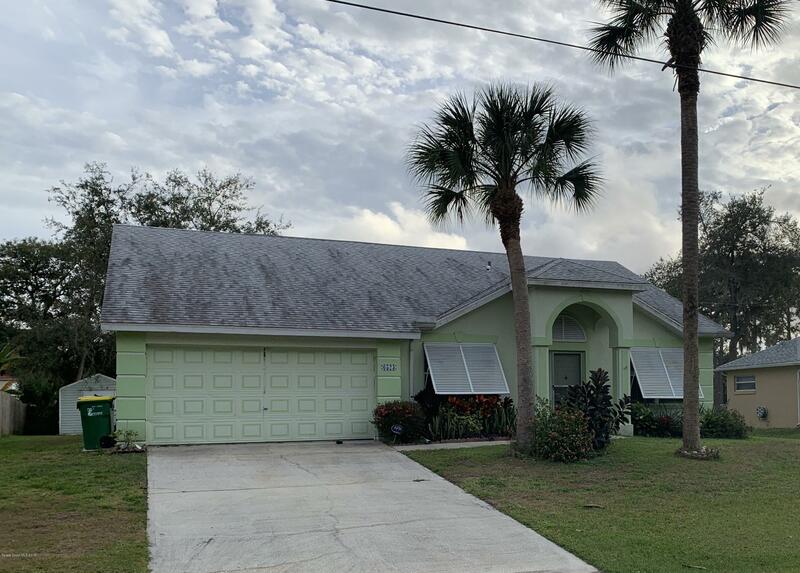 Home features concrete block construction, newer architectural shingle roof, newer AC, split floor plan, vaulted ceilings, large screened lanai, ceramic floors throughout and custom Bahama shutters. The home at 6511 Banyan is also for sale, so it's the perfect scenario for extended family or independent elderly parents that you'd like close by. Easy to show and move in ready! Make an appointment today!